moving on... katie is saaaaaah clever! look at this d.i.y! ever stuck for bloggin' ideas? well, fat mum slim is here to help. i'm addicted to caffeiene and cheese puffs. amy is addicted to marc jacobs purfume. natasha is a goddamn babe. it's so unfaiiiiir. clever, creative and babe-alicious in her romper. do you guys know that gal jenna? she's an instagram friend who's just had her blog overhauled by the clever bunny that is my kimmy. go see her! check out kailey's awesome boots! they're must have's for winter! gimme! also - do you remember marielle's origami crane project? well, i got one in the post this week, i was so touched! yesterday, one of my best friends got married, and i was lucky enough to be there to witness their special day. 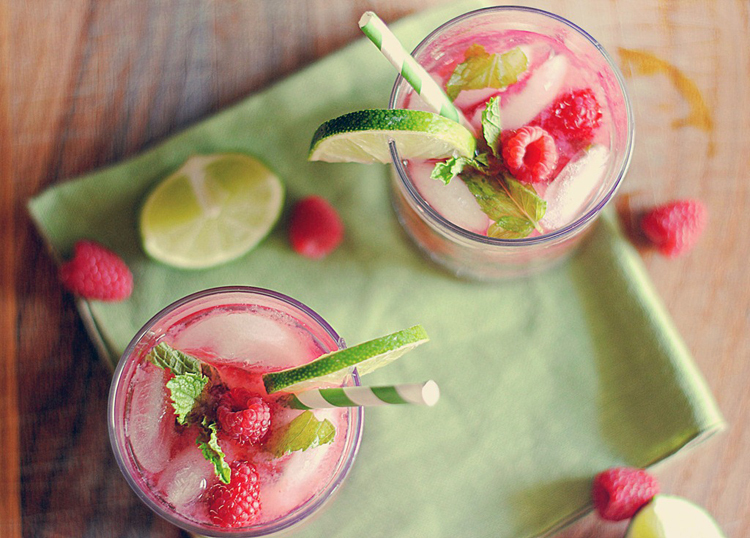 to celebrate their nuptials, shall we have a raspberry and mint mojito? yes, let's! so... last month this little blog racked up over 25,000 page views - that's a lot of bang for your buck! i've got a number of ad packages available, and one to suit every budget. check out my rates sheet here and email me if you're interested in joining me for september. oh, and because it's my birthday month, i'll be giving you lovelies 29% off any spot (if i can work it out. maths is not my strong point! )...twenny noine cos that's how old i'll be! Thanks for posting about the 50 Things to Blog About, I'm massively in need of some inspiration right now!